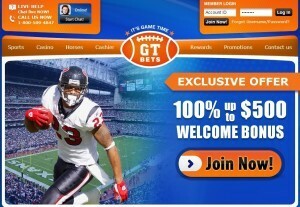 SportsAction365.com provides you with in-depth sportsbook reviews on the internet's top sportsbooks, including information on current sportsbook bonuses, exclusive bonus offers, deposit methods, payout methods, and more! Read our BoDog Sportsbook review below to learn more about betting on sports, signup bonuses, promos, and more at BoDog Sportsbook and Casino! Founded in 1995, Bodog is a fully licensed Sportsbook, Casino, and Poker Room Headquartered in San Jose, Costa Rica. Bodog Sportsbook has been recognized as the most respected brand in the business by eGaming Review Magazine and as a trusted source of sports betting information by such organizations as ESPN and CNN. Betting options on all sports, a Vegas-style Casino, and Multi-player poker community are right at your fingertips. Take advantage of convenient deposit options, unlimited free payouts, valuable bonuses, and the best customer service. The planet bets at BoDog - so should you! 10% Cash Signup Bonus - Open an account today over $20, and we'll reward you with a 10% cash bonus on your first deposit(no-limit bonus!). 20% Referral Bonus - Earn up to $100 for each friend you refer to BoDog Sportsbook! BoDog may raise minimum Internet bets during peak periods or prior to popular events. BoDog Betting Odds - NFL odds, College Football odds, NBA odds, College Basketball odds, MLB Odds, NHL odds, and boxing odds. U.S. CITIZENS PLEASE NOTE: The online sportsbooks and casinos listed and recommended on our website are intended for our readers that can legally gamble with poker rooms that are regulated non-domestically. Please check your federal, state, and/or local laws if you are not sure that you can legally participate in gambling trasnactions with the sportsbooks and casinos showcased on our website.